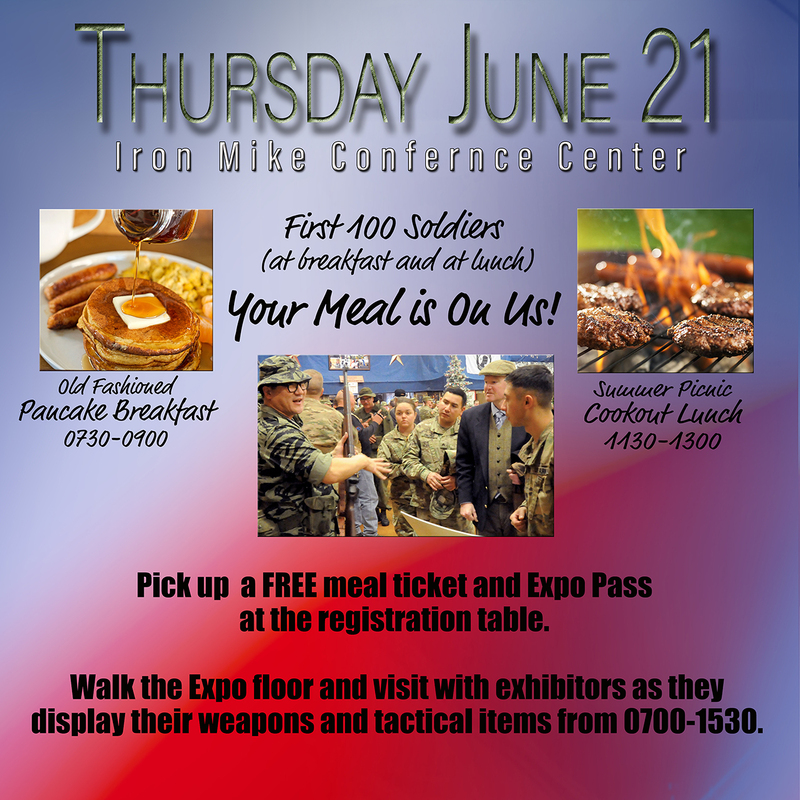 on veteran issues, new technology, business best practices, and self improvement seminars. --Deputy Commanding General and Chief of Staff at US Army Installation Management Command from 2009-2011. --Commanding General, US Army Installation Management Command, Korea, 2006-2008. --Garrison Commander, Fort Bragg, NC, 2003-2006. Joint and Combined Special Operations. --Operations Officer, The US Joint Staff, Special Operations Division, 1990-1992. --Deputy Chief of Staff, Operations (G3) for Army Special Operations Command during the highest level of deployment in the history of the force, 2000-2003. --Assistant Chief of Staff and Commanding General's Speechwriter, 1998-1999. --Detachment Commander, Operational Detachment Alpha-584 (Military Freefall), 1987-1988. --Battalion Commander for all Special Forces advanced skills training including Military Freefall, Underwater Operations, Sniper, Close Quarters Urban Combat, and the Army Survival, Evasion, Resistance, and Escape (SERE) course, 1996-1998. --Inspector General of the Special Warfare Center and School, 1995-1996. --Company Commander for all Special Forces Qualification Course field training and the culmination exercise of Green Beret training, 1992-1993. --Company Commander, 82nd Airborne Division, Company E, 504th Parachute Infantry Regiment, 1984-1985. MBDA, www.mbda.gov, is the only Federal agency dedicated to the growth and global competitivenessof U.S. minority-owned businesses. Our programs and services better equip minority-owned firms tocreate jobs, build scale and capacity, increase revenues and expand regionally, nationally and internationally. Services areprovided through a network of MBDA Business Centers. After 47 years of service, MBDA continues to be a dedicatedstrategic partner to all U.S. minority-owned businesses, committed to providing programs and services that build size,scale and capacity through access to capital, contracts and markets. "Everything really boils down to three things -- money, time and resources -- but you must do your market research in order to find the best value for thegovernment and develop an acquisition strategy." President and CEO of Cummings & Cummings LLC Management and Proposal Consulting Services. A boutique consulting company located in the Washington DC metro area, her company specializes in business development and proposal support services. Since 2008, Cummings & Cummings, LLC assisted companies pursue more than $7B in federal contracts.After graduating from Appalachian State University, Boone, NC and receiving her commission as a Quartermaster Officer through its Army ROTC program, Colonel Cummings embarked on a distinguished career. She served in junior officer positions at Fort Rucker, AL, Uijongbu Korea, and Fort Bragg, NC. As a field grade officer, she served as a Program Manager, Pentagon, Assistant Professor of Military Science, Georgetown University, Washington, DC, Military Support to Civil Authorities Officer and J-1/Response Task Force, East, Fort Gillem, GA, Chief of Emergency Operations and Deputy Program Manager at the Pentagon, and Reserve Forces Advisor (Transition Team), US Northern Command/North American Aerospace Defense Command in Colorado Springs, CO. After retirement, she held management positions for various federal contractors wherein she supported homeland security and information technology projects in federal and state organizations at the highest levels of national defense and security (e.g., Joint Force Headquarters-National Capital Region, Joint Force Headquarters-State, Federal Bureau of Investigation, Virginia Information Technologies Agency, etc. Sanquinetta Dover provides over 30 years of professional staffing, training, and project management experience. Since 1996 she has served as President and Chief Executive Officer of DoverStaffing and DoverSolutions and the founder Dover Training Institute. As the visionary and leader, Sanquinetta practices innovative techniques to deliver leading workforce solutions to the human capital management industry. Sanquinetta holds an economics degree from Spelman College and has extensive experience in staffing and training with diverse audiences. Growing up in a family where civic involvement was paramount, Sanquinetta naturally acquired a desire to make meaningful contributions to people’s lives. As such, she is on a constant search to discover innovative methods to deliver her services. She believes that an all-inclusive approach to job placement, one that incorporates good citizenship, self-esteem, and a myriad of other important attributes is paramount to being successful in the workplace. An expert in small and diversity businesses as well as environmental and sustainability initiatives within the government, Ms. Potts works with industry and educational institutions to help develop business opportunities and provide training. She is considered a leading expert for small/ diversity businesses and served as NC delegate to the Small Business Advisory Council to the White House in 2010 to 2012 and again from 2014 to 2016.Ms. Potts has been involved in both an advisory and leadership capacity for numerous organizations. She played a major role as an advisor with the Louisiana Department of Environmental Quality during the Hurricane Katrina and Hurricane Rita cleanup operations. Ms. Potts was also one of twenty top environmental leaders in the nation chosen to join a Green Sustainability panel at the Pentagon, where she helped write the Department of Defense’s Sustainability Plan which serves as the prototype for 36 other agencies. In 2011, Ms. Potts was chosen as an industry advisor to the newly formed Army Energy Initiatives Task Force. With over thirty years of experience, Ms. Potts has advised more than five thousand clients, identifying opportunities and providing assistance in the procurement of government and commercial contracts. She founded her own company, G and E Advisors (a woman owned, veteran owned small business), to advise small and diversity businesses and has gained a reputation as one of the foremost experts on environmental issues especially concerning remediation and disaster response clean up, water issues and renewal. Born in the Kings county, in Brooklyn New York and was raised by my mother as an only child. I attended Brooklyn Technical High School and graduated in 1978. I enlisted in the United States Army and was assigned to 101st Airborne Division along with the 160th Special Operations Aviation Regiment and retired in 1993. I hold Bachelor of Science degrees from John Jay College of Criminal Justice and Park University. I have a Masters of Business Administration and two Masters of Science degrees from Webster University. I’m currently a Doctor of Philosophy Ph. D Candidate at Kansas State University majoring in Security Studies. I have worked for the Justice Department as a District Adjudications Officer and the United States Postal Service as a supervisor. I started my career with the Department of Veterans Affairs on February 15, 2008 with Regional Counsel. In March 2009, I accepted a position as the Special Assistant to the Veterans Integrated Service Network 15 Director. On June 15, 2016 I accepted a position as the Small Business Liaison for the Mid-Atlantic Health Care Network Contracting office 6. Aregnaz Mooradian is a Lead Business Opportunity Specialist working with the U.S. Small Business Administration’s North Carolina District Office in Charlotte. She supports North Carolina’s portfolio of 8(a) certified firms to provide business development assistance and to assist in navigating the federal small business procurement space. She also works with buying agencies and small business specialists to facilitate small business contract awards. Aregnaz began with SBA as a Business Opportunity Specialist in 2013 at the Arizona District Office in Phoenix. Since its founding on July 30, 1953, the U.S. Small Business Administration has delivered millions of loans, loan guarantees, contracts, counseling sessions and other forms of assistance to small businesses.SBA provides assistances primarily through its four programmatic functions:Access to Capital (Business Financing)SBA provides small businesses with an array of financing for small businesses from the smallest needs in microlending - to substantial debt and equity investment capital (venture capital).Entrepreneurial Development (Education, Information, Technical Assistance & Training)SBA provides free individual face-to-face, and internet counseling for small businesses, and low-cost training to nascent entrepreneurs and established small businesses in over 1,800 locations throughout the United States and US territories. The Procurement Technical Assistance Program was established to expand the number of business capable of participating in government contracts. The program is administered by DLA's Office of Small Business in cooperation with states, local governments and nonprofit organizations. Under the program, Procurement Technical Assistance Centers (PTACs) help businesses pursue and perform under contracts with the Department of Defense, other federal agencies, state and local governments and with government prime contractors. Most of the assistance the PTACs provides is free. Holly has over 20 years of experience working with large and small businesses both for profit and nonprofits. She has been involved with BLNC for over five years where she helps clients in Spanish and English with business compliance. Degrees – MBA -International Management, Middlebury Institute of International Studies, Monterey, CA (formerly known as Monterey Institute of International Studies, Monterey, CA); MA -Latin American Studies & International Development and BS – Marketing from Indiana University, Bloomington, IN. Certifications - Project Management Professional (PMP) from the Project Management Institute; Certificate in Non-Profit Management from Duke University and Certified Global Business Professional (CGBP) from the National Association of Small Business International Trade Educators (NASBITE). Joe Tew joined the North Carolina Military Business Center (NCMBC) on May 1, 2017 as a Federal Business Development Professional. 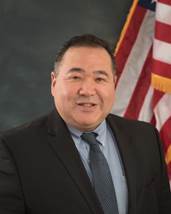 In this role he: connects North Carolina businesses and organizations to Department of Defense and federal business opportunities; identifies lucrative and attractive solicitations and provides this info to NC businesses; helps match North Carolina capabilities with federal requirements; and helps North Carolina companies prepare, present and execute strategies to win federal business. He also executes other assignments to support the NCMBC mission to leverage military and other federal business opportunities to expand the economy, grow jobs and improve quality of life in North Carolina. Joe is a retired Army Aviation Officer, Pilot, Maintenance Test Pilot and Aviation Maintenance and Logistics officer. His assignments included Commander, Operations Officer, Personnel Officer and Maintenance Operations officer. Prior to active duty, Joe was a NCO and Commissioned Officer in the North Carolina Army National Guard. He deployed for multiple combat tours and served 4 years in the North Carolina Army National Guard, 10 years on active duty and 10 years in the United States Army Reserve. Joe is originally from Fayetteville, NC. He received his Bachelors of Science degree in Business Management from the University of North Carolina Wilmington. Joe is excited about reestablishing his North Carolina roots, working to achieve significant economic and community improvements and helping North Carolina maintain and improve its status as the best place to live, work and prosper. Over 30 years’ experience in various positions to include Nuclear Missile Operations, Acquisitions/Logistics Program Management at the Air Force Product Center, Air Logistics Command and Headquarters Air Staff, Air Force Small Business Industrial Modernization Office, and Acquisition/Logistics Support on DoD’s largest acquisition program, the Joint Strike Fighter (JSF). Currently in the Air Force Small Business Program Management Office, Air Force HQ Pentagon. Acting Deputy Director, Air Force Small Business Programs, Air Force HQ, Pentagon. Deputy Director, Logistics Support Products, Joint Strike Fighter (JSF) Program Office, Washington D.C.
Deputy Director, Warfighter Integration, Joint Strike Fighter (JSF) Program Office, Washington, D.C.
Chief /Director of all Air Force Acquisition Policy, Air Force Assistant Secretary (Acquisition) SAF/AQ, Air Force HQ, Pentagon. Acquisition Program Element/ Budget Officer, Air Force Assistant Secretary (Acquisition) SAF/AQ, Air Force HQ, Pentagon. Acquisition Program Manager, Air Force Aircraft Loader Program Office. Warner Robins, GA.
Acquisition Program Manager, Manufacturing Officer, Air Force Material Command Wright-Patterson AFB. Chief of Air Force Small Business Industrial Modernization Program, Air Force Material Command Engineering, Wright –Patterson AFB. The Marine Corps Systems Command Office of Small Business Programs is the gateway for small businesses. the Navy as well as our national security. The Small Business Program promotes acquisition opportunities where small businesses can best support the needs of our Marines and Sailors. Through policy, advocacy and training, we foster industry innovation, technology development, and the acquisition of quality products, services, and solutions from small business providers. Our vision is to ensure small businesses are the first option in the acquisition planning process. 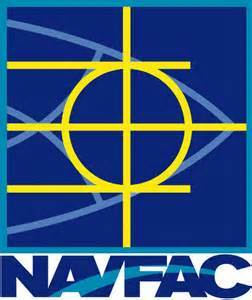 The NAVFAC OSBP team is comprised of highly skilled and dedicated business professionals located at each NAVFAC contracting office. We identify and communicate samll business opportunities; establish internal program targets and objectives; track and communciate achievments; and provide expertise to command and industry representatives on all small business program issues. GSA provides the best value for government and the American people. service-disabled veteran, HUBZone and women-owned businesses.This office is committed to providing access to federal business opportunities to small businesses, and to working with the GSA's acquisition community to reach the goals that have been mandated by law. GSA has been delivering the best value in real estate, acquisition and technology services, to the federal government and American people for more than 67 years. By using the purchasing power of the federal government, we will drive down prices, deliver better value, and reduce costs to our customer agencies. As a result, these agencies can focus their resources and attention on their core missions. We will also step up our efforts to save agencies money by creating 10 new ways that the entire government can purchase resources smarter and more efficiently. ways to meet our customers’ needs and expectations. Working capital is essential for a growing business but sometimes it can be a juggling act, particularly when you are first starting out or especially when you are experiencing a growth spurt. Growth can be tricky! You need capital to help you grow and it can take weeks or even months for clients to pay their B2B invoices, stifling your progress and often your ability to fill subsequent orders for them. United Capital Funding can help you in a number of ways so that you can simply do what you do best — serve your clients. How? Some of the ways we serve our clients include: providing funding using your B2B Accounts Receivables as collateral, payroll funding and professional consulting services that help you leverage our expertise. When it comes to working capital and funding, the United Capital Funding team is experts and we are known for helping companies hit the next level in their quest for success.